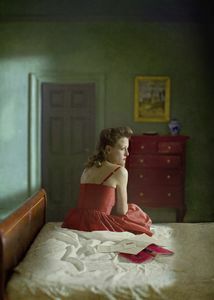 "Hopper Meditations" is a personal photographic response to the work of the American painter, Edward Hopper. 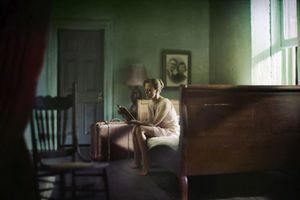 I have always loved the way Hopper’s paintings, with an economy of means, are able to address the mysteries and complexities of the human condition. 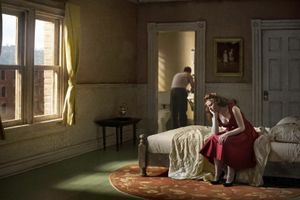 Placing one or two figures in humble, intimate settings, he created quiet scenes that are psychologically compelling with open-ended narratives. The characters’ emotional states can seem to waver paradoxically between reverie and alienation, or perhaps between longing and resignation. Dramatic lighting heightens the emotional overtones, but any final interpretation is left to the viewer. These are all qualities I hope to imbue in my images as well. In other ways, my pictures diverge from Hopper’s paintings. 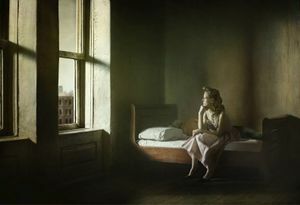 The general mood in my work is more somber, and the lighting is less harsh, than in Hopper’s. I am trying to achieve an effect perhaps closer to the chiaroscuro lighting of Rembrandt, another painter I greatly admire. 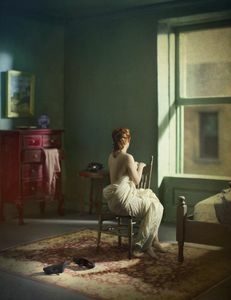 I would like the lighting to act as almost another character, not only illuminating the form of the figures, but also echoing and evoking the their inner lives. I suppose I would like to marry the theatricality of Rembrandt with the humility of Hopper. In this way, I like to think of my images as dramas for a small stage, with the figures as actors in a one or two character play. 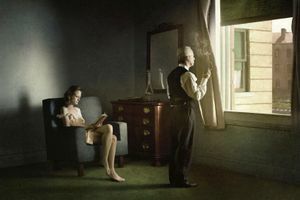 The characters, by appearance, are rooted specifically in the past, somewhere in Hopper’s mid-twentieth century. For me, this augments the dreamlike, staged effect of the scenes. 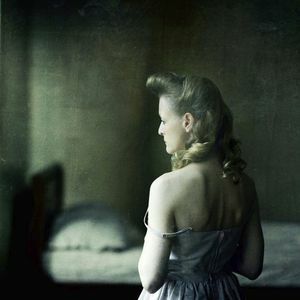 The themes they evoke, though—solitude, alienation, longing—are timeless and universal.